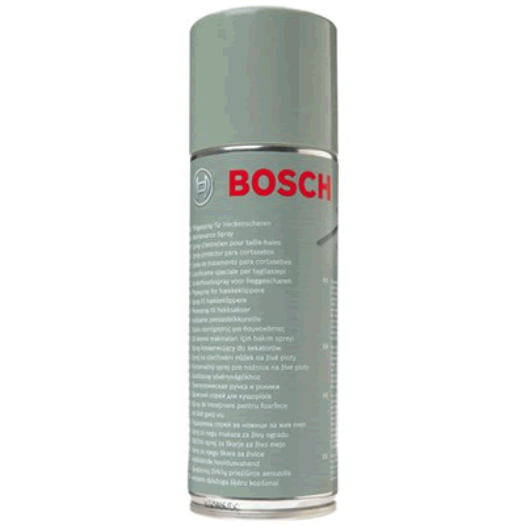 Bosch 1 609 200 399 garden shredder lubricant spray. Maintain your shredder's mechanical parts with this spray. Lubrication spray designed for use on hedgecutters and chainsaws this product reduces the wear and tear, helping to reduce the build up of debris.